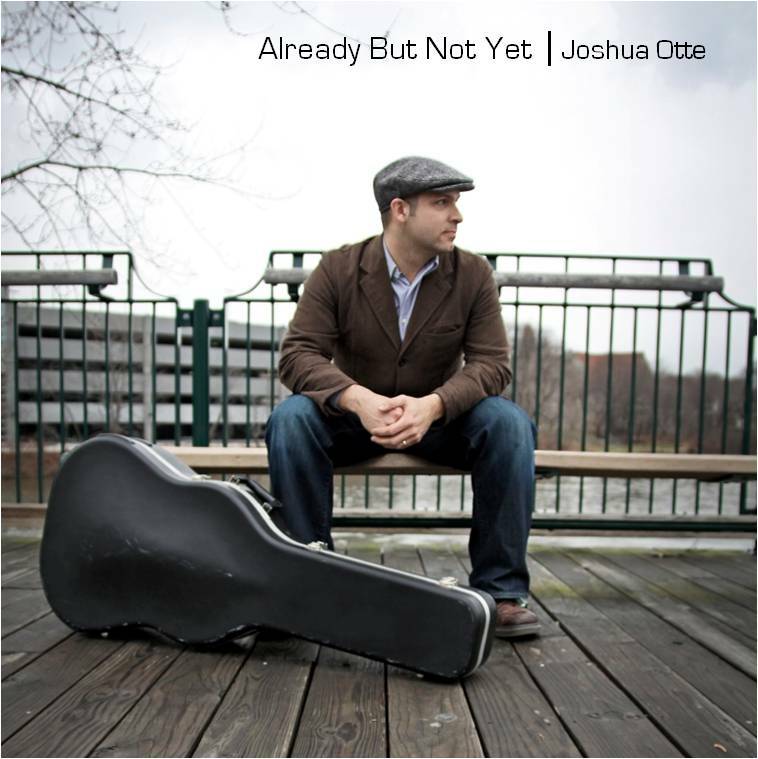 “Already But Not Yet” is available on iTunes and Amazon. Connect on Facebook and Purevolume. I am overjoyed to announce that my CD “Already But Not Yet” is now available! Overjoyed by the hope that God will use these songs to encourage many people and churches. Overjoyed to contribute to the hymn-renewal movement that the Spirit is using to revive the Church. Overjoyed to exalt the true Redeemer! “Already But Not Yet” tells a story–God’s story of Redemption through King Jesus. And each song moves the story forward from Christ’s Cross, Resurrection, and Exaltation to our life of Exile and Prayer, and finally to the celebration in the New Creation. Already redemption has been accomplished. But not yet completed. We await the Return of the King! CDs are now available to purchase at BullMoose Music (Windham and Portland) and will soon be available for download at ITunes. For mail orders please mail a check to Joshua Otte |973 River Rd |Windham, ME 04062. $7ea or 2 for $10. Just add $3 shipping (up to 4 CDs). Add $0.50 for additional CDs. If you have any questions email me (eucatastrophe101 at yahoo dot com) until the website is launched! Thanks! UPDATE. Please check out my Facebook Music Page. Listen to the tracks, leave a note, tell your friends! I just finished reading Talent is Overrated: What Really Separates World-Class Performers from Everybody Else, by Geoff Colvin. Fascinating book. Giftedness is a topic that I’ve thought about a lot. Are we selling ourselves short by assuming that we’ll never be as good a keyboardist, vocalist, guitarist, drummer, or whatever, as the people we esteem? The latest installment of Ron Man’s Worship Notes is out, “Christmas in Context“. I find each month’s issue encouraging and thought provoking–a must read whenever it arrives in my inbox. And…just in case you missed them, here’s the whole 2008 collection. Christians and compliments have a very odd relationship. We really don’t know how to give them or take them. Some of us are afraid of giving compliments because we fear we might somehow inflate someone’s ego. So we feel the need to preface our encouragement with something like…”I don’t want this to give you a big head…but you did a good job today”. Although writing primarily for leaders of gathered worship and musicians, Bob Kauflin, of Worship Matters, offers some wise, biblical counsel applies to all of us who seek to take and give compliments without robbing God of the glory that He alone deserves. Read the whole thing, here. Why don't we sing the good old hymns anymore? Busy or Productive in 2009?